A week in Portugal is the perfect amount of time to get a taste for one of Europe’s most overlooked and affordable destinations. In this 7 days in Portugal sample itinerary, we’ll focus on the charms of its capital city – Lisbon – and its surrounding countryside, before either heading south to catch some sun or north to explore Portugal’s other magnificent big city – Porto. The first leg of your 7 days in Portugal is spent in its beautiful capital city and the surrounding countryside which is well deserving of at least four days. 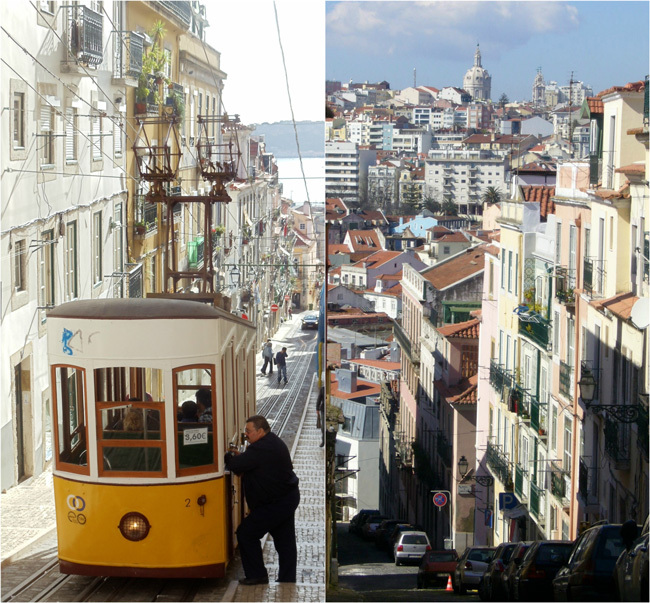 Composed of steep hills that are home to distinct neighborhoods and with an ancient network of cable cars and lifts connecting them, Lisbon is “the San Francisco of Europe” though it’s likely the other way seeing how Portugal’s glowing capital has been around for many centuries. Base yourself at the Teatro Boutique Bed & Breakfast – within walking distance of the Bairro Alto nightlife and the sights and tastes of the Chiado and Baixa. This charming B&B is centrally located and tastefully decorated. If this place is fully booked, look for vacancies around this area. 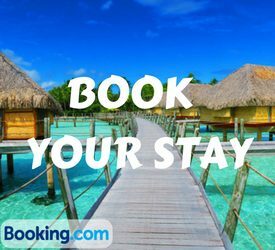 >> Here’s a list of other Lisbon accommodations that you can book online! 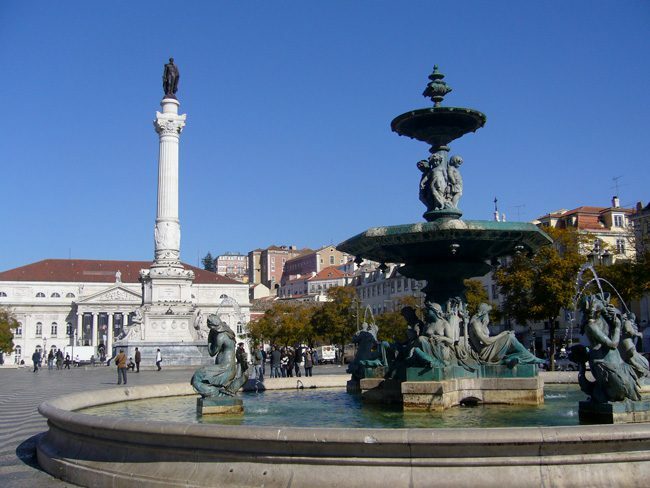 Spend your first day in Lisbon exploring the “Lower Town” districts of Baixa and Rossio. Start with a classic breakfast and some people watching in Chiado’s A Brasileira café and make your way via the “old school” shops of the Chiado to Praca do Comercio – Lisbon’s main square. Officially enter the Baixa through its massive arch and meander along the lower town’s pedestrian streets. 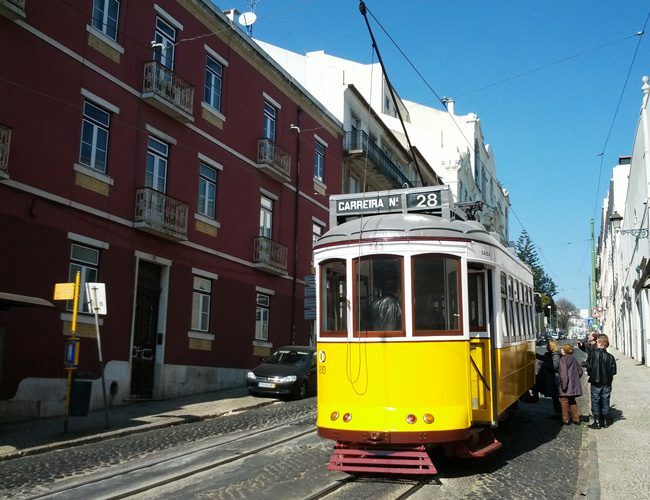 You can even detour and ride the gothic Elevador de Santa Justa to catch awesome views of town before grabbing lunch in Rossio Square and some cherry liqueur or port wine at A Ginghina. 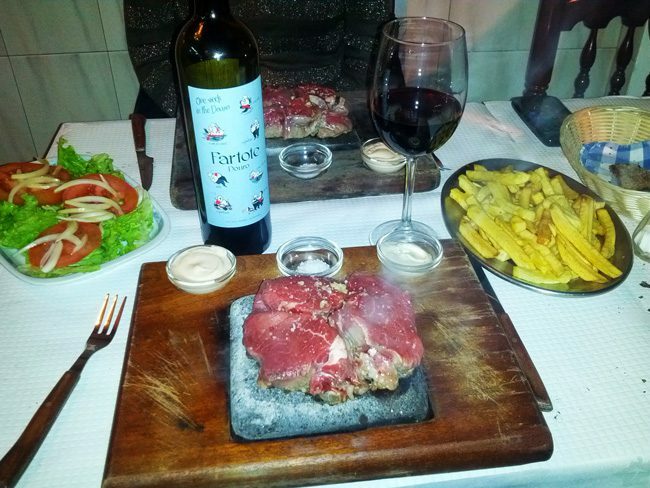 Wrap up the sightseeing portion of the day with some downtime at either Jardim do Torel or Miradouro de São Pedro de Alcântara before cooking your choice of meat on a hot stone at Restaurante Casa dos Passarinhos. On day two, catch the #28 tram for a scenic ride to “Upper Town” but just be careful of pickpockets. Enjoy splendid views at Miradouro da Graça before entering the medieval village of Santa Cruz and walking up to the ancient Moorish castle simply known as Castelo. 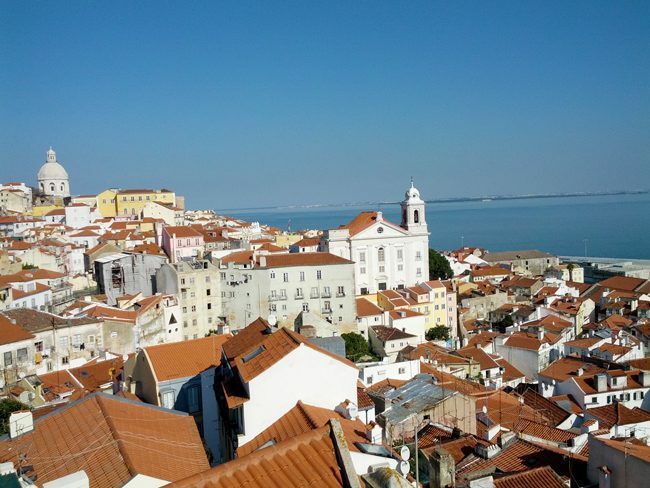 For lunch with a view, head to Chapito, followed by a trip to the national pantheon and a pause at the scenic Miradouro de Santa Luzia overlooking the Alfama district. 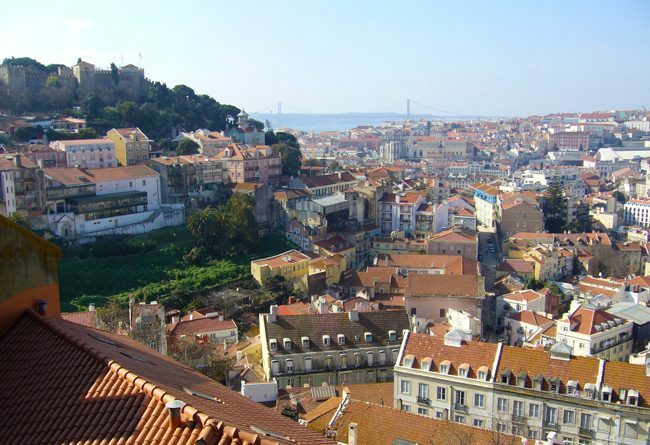 Start heading down towards the river via the maze of alleys that make up the Alfama, visit Lisbon’s main cathedral – the Se – and stick around this part of town if you fancy hearing some fado to go along with dinner. 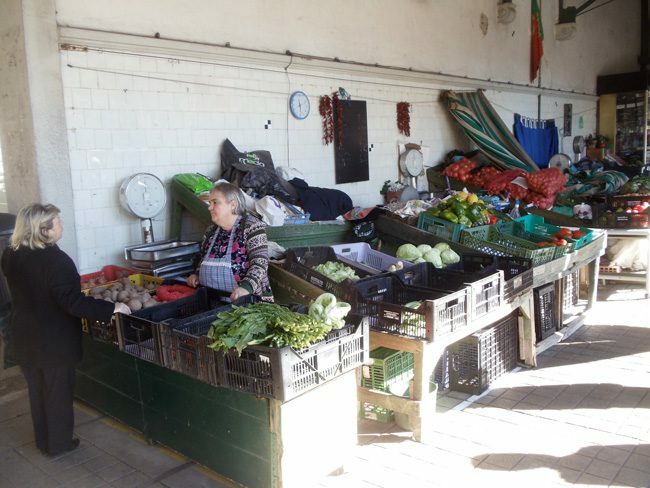 On the third day in Lisbon, visit the central market in the morning hours and ride the #15 tram to the riverside suburb of Belem. 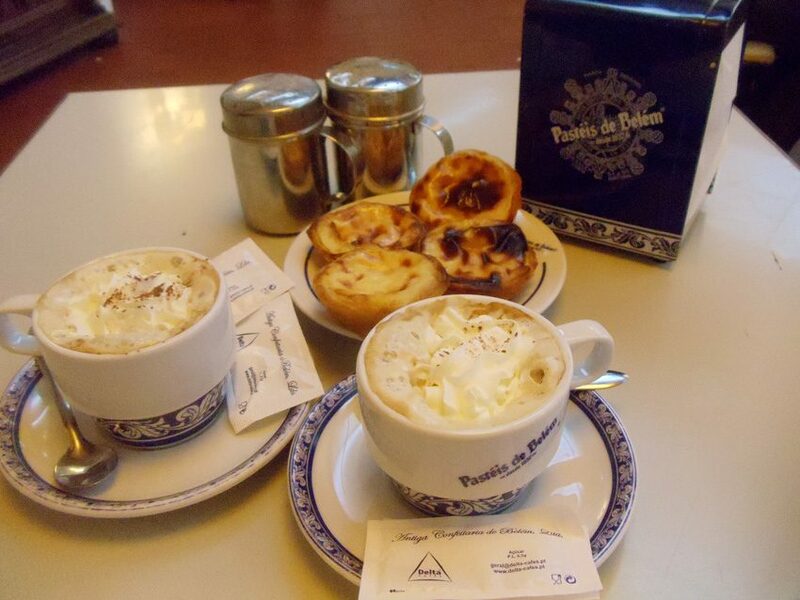 Breakfast is not to be skipped on this day and Pastéis de Belém is the place to be. 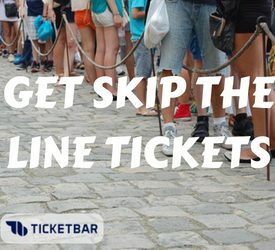 If you’re not sure where it is, just follow the crowds. 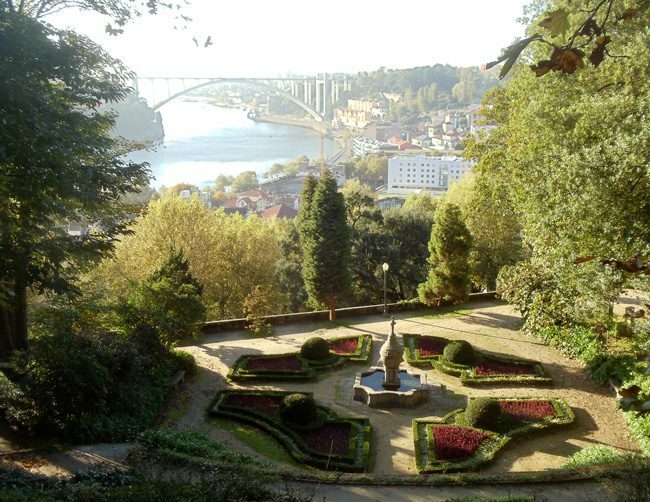 After savoring a few pasteis de nata – check out Belem’s exquisite architectural highlights and relax in the botanical gardens of Ajuda. 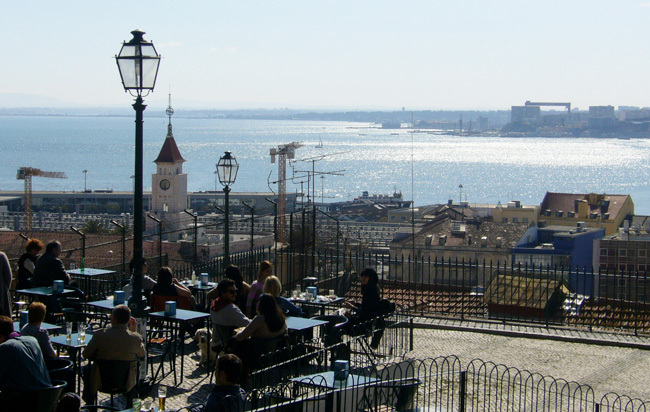 Grab lunch in one of the excellent Portuguese restaurants on Rua Vieira Portuense and head back to the Bairro Alto to catch the sunset with a drink in your hand at Miradouro de Santa Catarina. 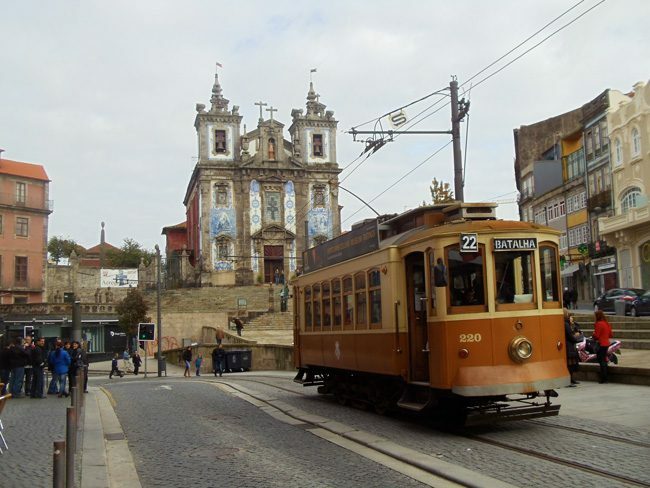 On the last day in Lisbon, rent a car for the day or ride the train to the historic village of Sintra. 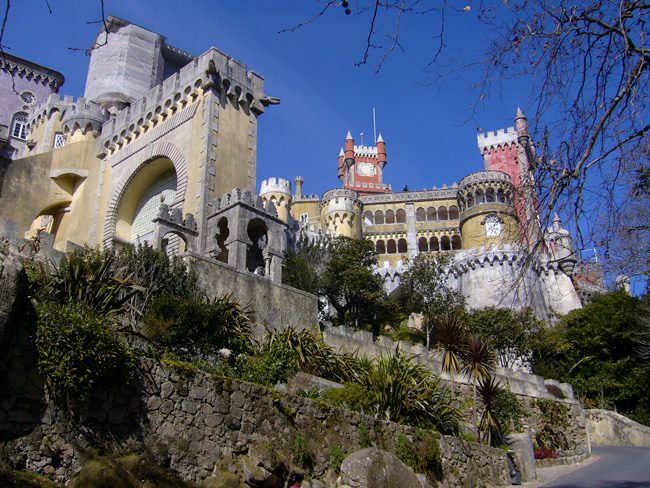 Step back in time as you sample royal life in the Palacio da Pena and head back down to the village to grab lunch at Tacho Real before visiting the Palacio Nacional if you didn’t rent a car for the day. 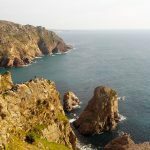 If you do have your own set of wheels, drive to the most westerly point in mainland Europe – Cabo da Roca and circle back to Lisbon via the seaside holiday village of Cascais. 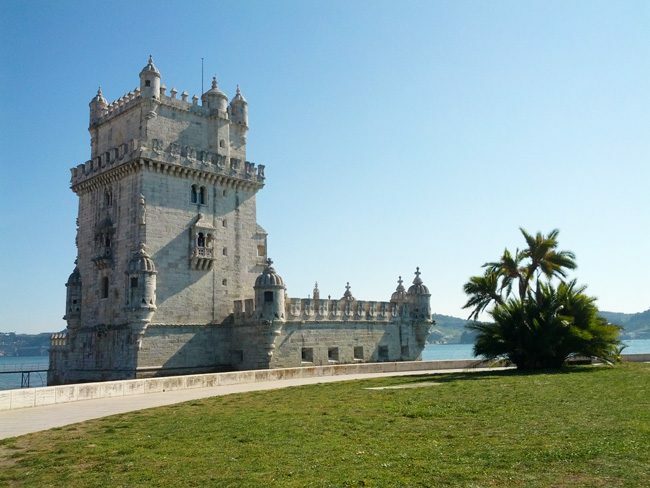 Here’s an in-depth Lisbon sample itinerary, where you can pick and choose what works for you. 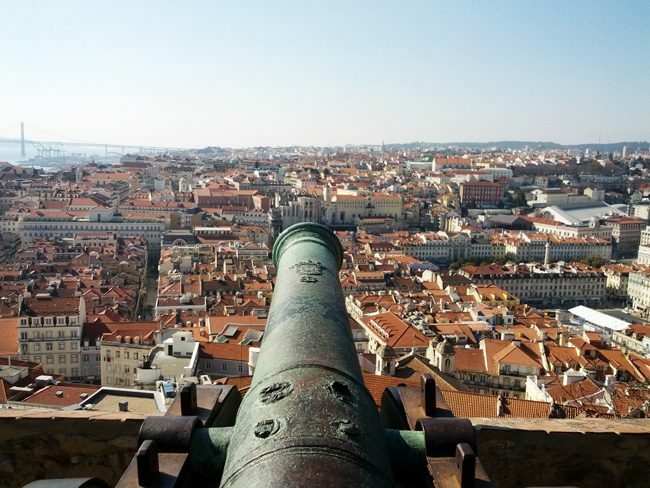 For a quick look at the capital’s best spots, check out the top 10 things to do in Lisbon. 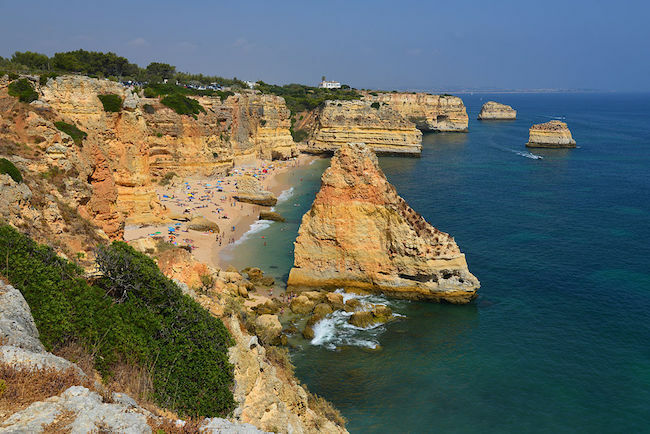 The second part of the 7 days in Portugal depends on what you like and the time of year. If it’s beach and the sun you fancy, head to the southern Algarve Coast and if more romance in an urban setting that you’re after – head to Porto. 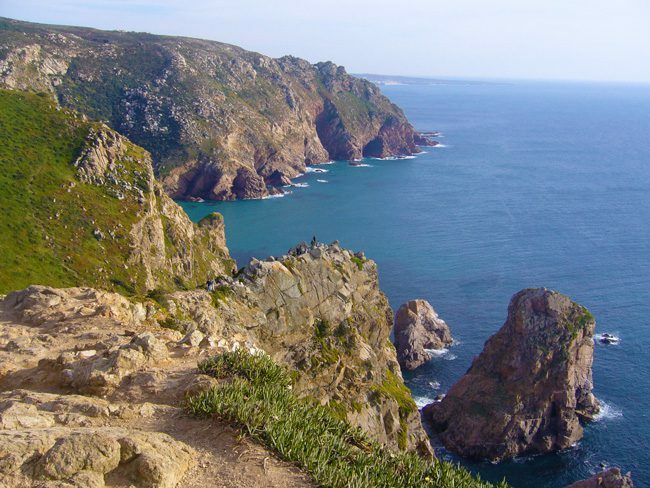 The sunny south coast of Portugal is a year round destination though parts of it do get crowded in the summer months. Base yourself in Faro for comfort and the ability to use it a central base for your daily sightseeing. Otherwise, look for more off the beaten track accommodations in quieter and less developed parts of the coast. 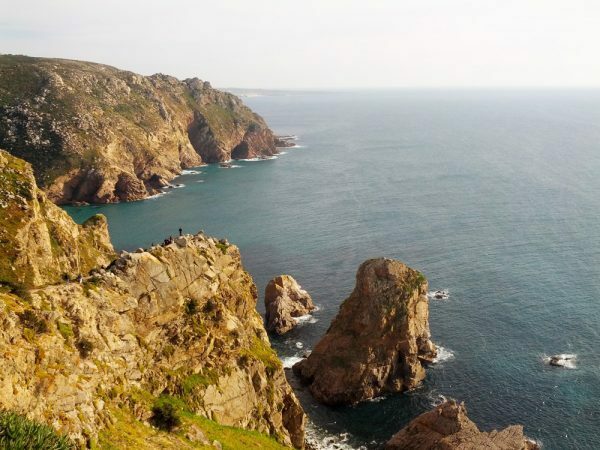 As far as sightseeing, you’ll want to relax and catch some sun at the beach but be sure to make it to the cliffs of Cabo de Sao Vicente and to road trip to the scenic villages of Alter and Salir. 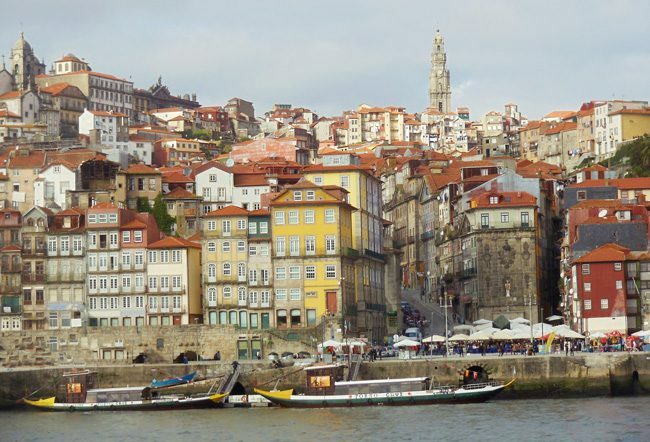 Porto is the country’s second largest city and another charmer. The city sits close to the mouth of Douro River and was once a strategic port for the export of wine or anything that could be shipped down river. 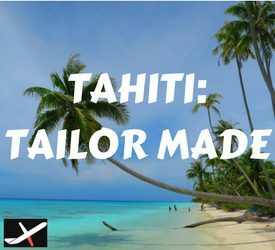 Nowadays, this affordable city boasts a great mix of historical landmarks, dining, and nightlife. Porto might seem a bit rundown and in need of a facelift, but this is all part of what makes this place so unique. 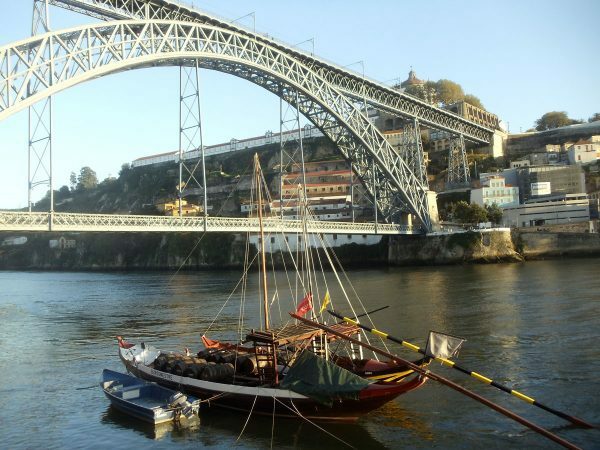 Base yourself in the Ribeira district – Porto’s historic riverfront neighborhood. There’s a good selection of accommodations around here as well dining and drinking options. 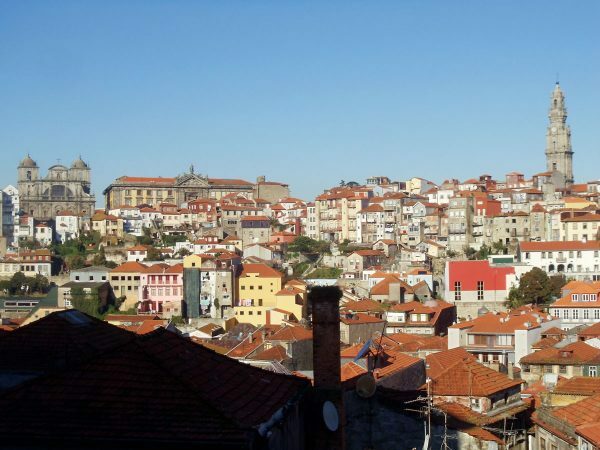 The port houses of Vila Nova de Gaia are just a short walk across the iron Dom Luís I Bridge and the city-center hills are a stone’s throw away. 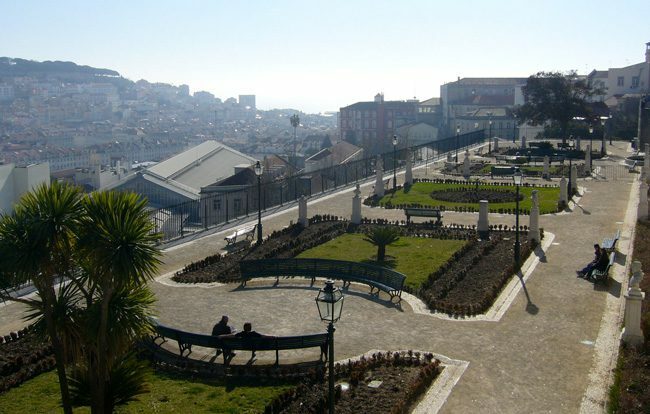 Another plus to sleeping in Ribeira is that you’ll be walking downhill after a long day of sightseeing. 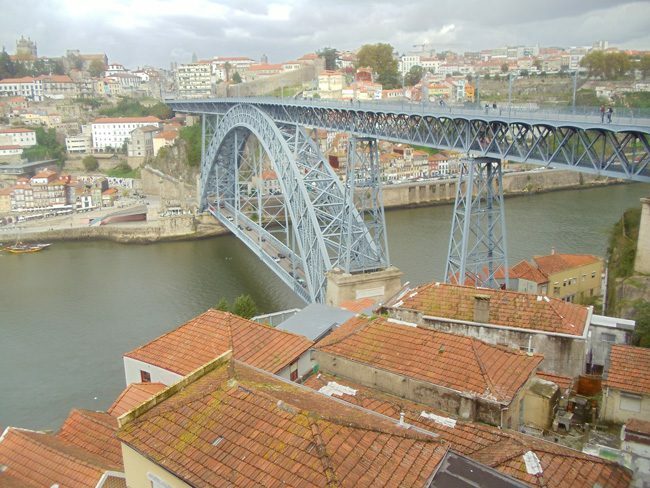 >> Here’s a list of Porto accommodations that you can book online! On day one in Porto, stick around the Ribeira District and start with a visit to the gold-covered Arabian Hall in the Palácio da Bolsa. 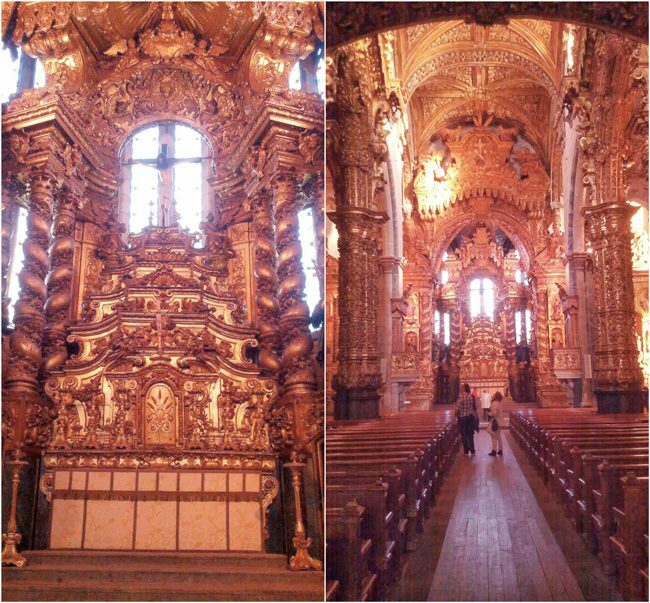 Head over to the Church of St. Francis and check out its chapel – an unfathomable accomplishment of baroque-style woodwork covered with kilograms of gold. 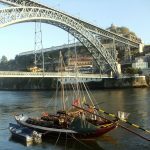 It’s now time to see what’s happening in Cais da Ribeira before climbing the steps to the upper deck of the Dom Luis I Bridge and crossing over to Vila Nova de Gaia. In Gaia, take the scenic cable car to enjoy sublime views across the Ribeira District and the iconic rabelo boats that were once used to transport port wine. 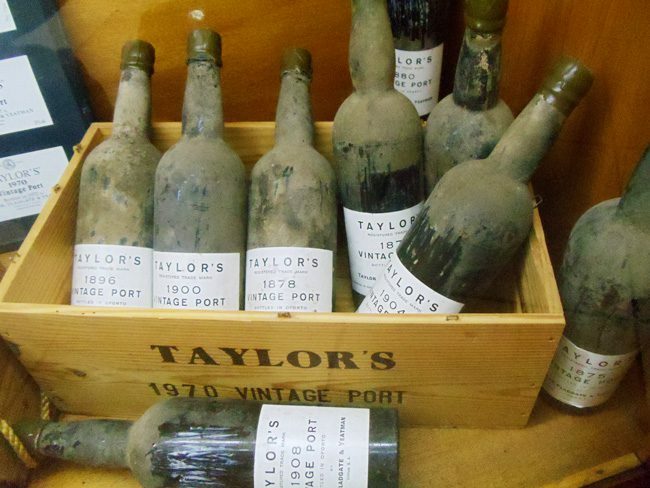 Speaking of port wine, this is where the magic happens and you’ll want to make it up the hill to Taylor’s for some tasting and a lesson on how the finest port wine is made! 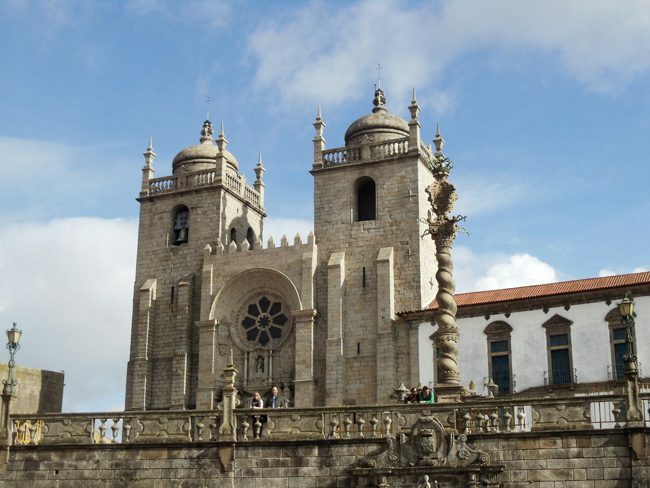 On the second day in Porto, grab breakfast with the locals at Padeirinha Doce and check out the tile-covered facade of the Church of Saint Ildefonso. 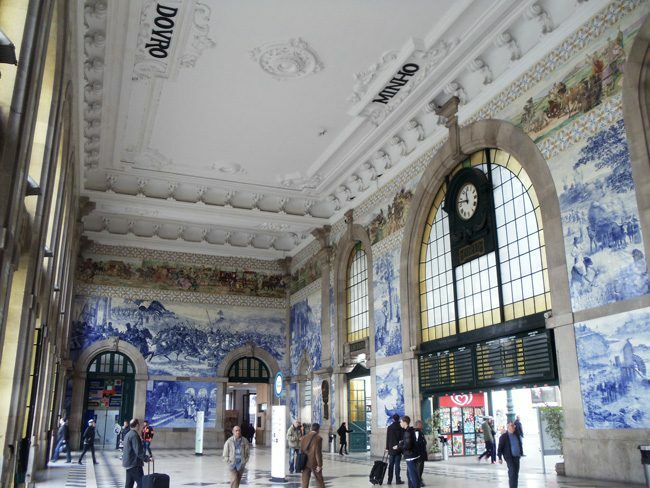 Head to Porto’s main cathedral – the Se – via São Bento Train Station and admire the incredible tile-covered walls that make this train station a living museum. 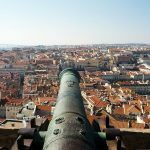 At the Se, enjoy breathtaking views of the old city center and admire from up close the peculiar twisting statue known as Pelourinho. 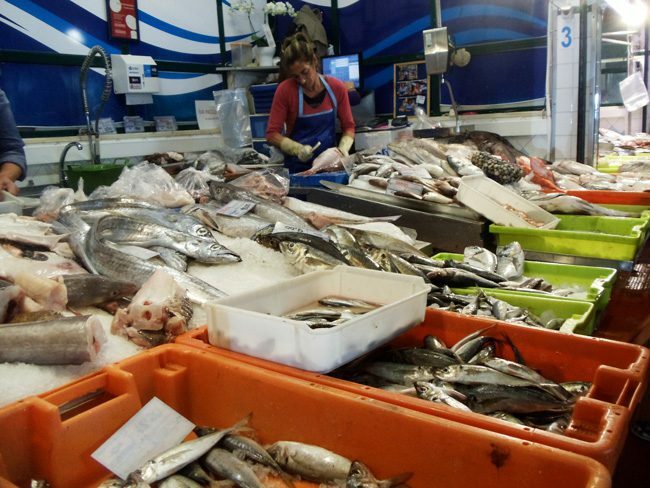 Spend the rest of your afternoon getting lost in the narrow lanes leading to and from the Se or head to the old fishing of Afurada for some seafood. On the third day in Porto and the last day in Portugal, head to Rua de Santa Catarina which is likely already busy during the morning hours. 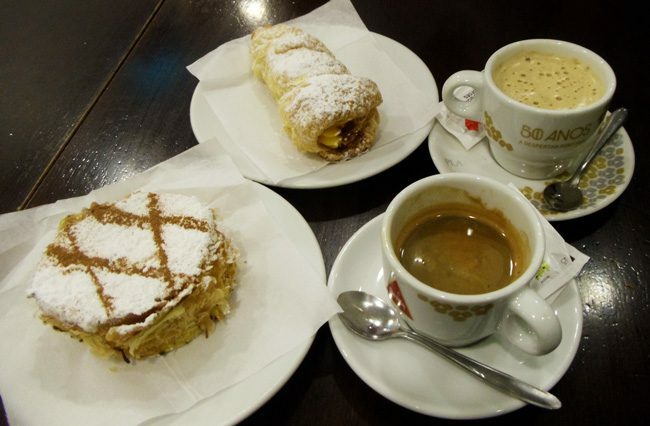 For breakfast, feel like an aristocrat at Cafe Majestic or like a blue-collar local at Confeitaria do Bolhao, followed by a trip to Porto’s central market. Walk to the Clerigos Tower and en route, pause to admire the incredible Baroque and neoclassical architecture around you. 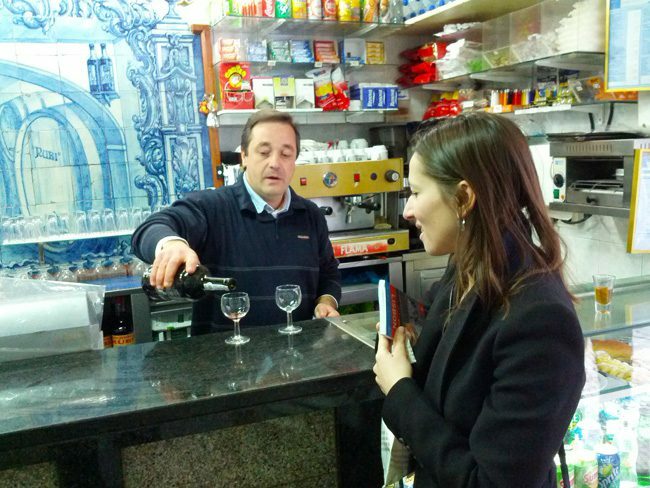 You’ll also find an amazing selection of specialty food and wine shops – a good opportunity to buy a few tasty souvenirs from Porto. Climb the tower’s 240 steps to enjoy 360-degree views of what you’ve experienced over the last three days and wrap up your visit to Porto with downtime at the Garden Of The Crystal Palace. 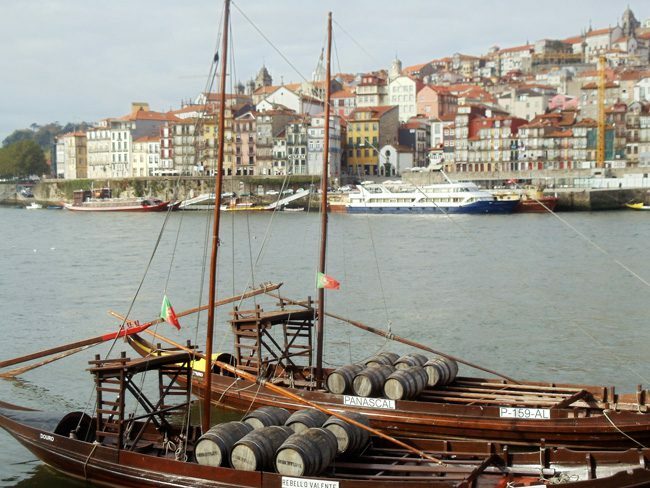 Here’s an in-depth Porto sample itinerary, where you can pick and choose what works for you. 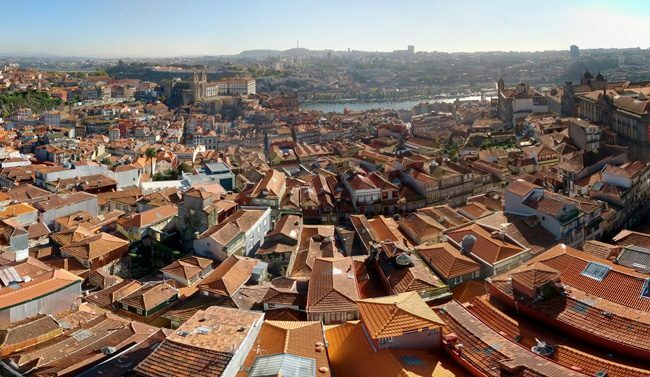 For a quick look at the city’s best spots, check out the top 10 things to do in Porto. 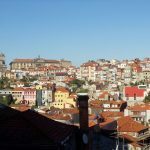 I hope you’ve found this 7 days in Portugal sample itinerary helpful in building your own adventure. 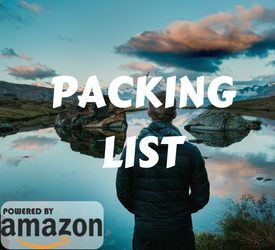 Be sure to explore the in depth guides linked in this sample itinerary to learn a few essential travel tips prior to visiting Portugal.